Our free e-waste recycling service offers residents of Toledo, OH and surrounding areas a location to drop off their e-waste and old IT equipment. In addition, we offer free e-waste pickup services for businesses, schools, government agencies,and other organizations in Northwest Ohio and Southeast Michigan. Recell One also has one of the most successful smart phone buyback programs for all businesses throughout the U.S. We recycle responsibly in accordance with EPA standards and take data security very serious, exceeding Department of Defense and R2 Certified recommendations. At Recell One, we follow rigorous EPA guidelines and ensure our downstream partners do the same. 100 percent of each electronic asset entrusted to us is recycled or re-marketed. Absolutely nothing is left to be disposed of in a landfill. All recycling is processed domestically to ensure the highest level of security for your organization. Recell One’s environmentally sound solutions for the secure, effective management and removal of any organization’s end-of-life electronic assets are certified to meet or exceed all National Security Agency requirements. Recell One provides the highest standard of service to all U.S. Government agencies and corporate entities wishing to responsibly dispose of their end-of-life or obsolete devices, while simultaneously maintaining the highest level of data security. 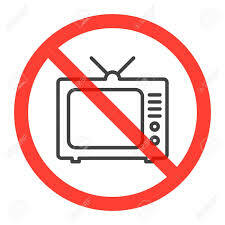 We cannot accept CRT monitors or televisions of any kind. Flat screens monitors are accepted.